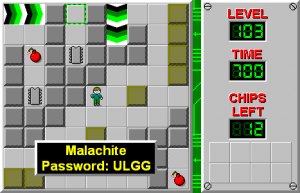 Malachite - The Chip's Challenge Wiki - The Chip's Challenge Database that anyone can edit! 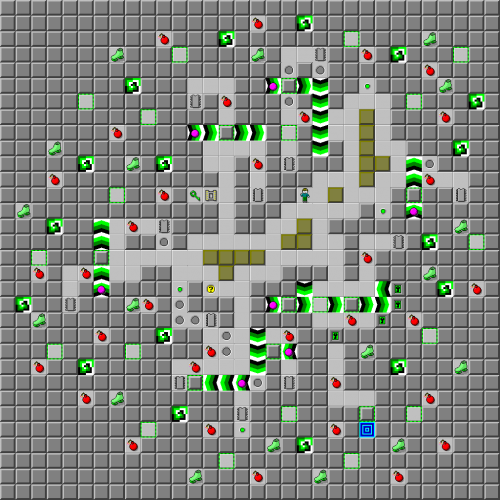 Be strategic with your blocks and blow up certain bombs before others. Use the green buttons wisely. Malachite is the 103rd level in Chip's Challenge Level Pack 4. It was created by Josh Lee.